In season the cottage is normally let with the fishing. 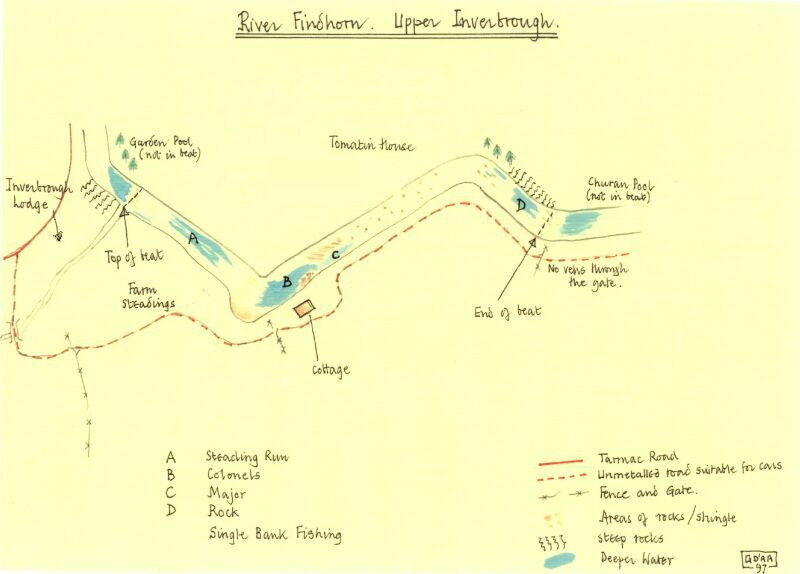 This is for two rods for salmon and trout on the Upper Inverbrough beat of the River Findhorn. 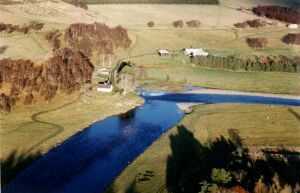 The river is a spate river and good fishing is very dependant on good water levels. The beat is single bank and about ¾ miles in length. There are four main pools with an excellent holding pool on the cottage doorstep. One intrepid angler caught an early fish which was landed by a lady in her dressinggown! The spring run of salmon normally reach the beat in early May. 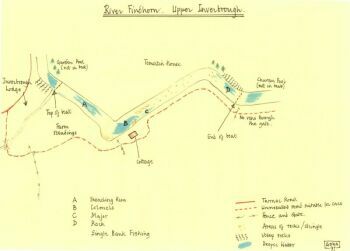 This is dependant on water temperature as the fish cannot get over obstacles downstream until the water temperature reaches about 42F. The grilse usually start to arrive in July. The fishing is fly only. All pools can be fished without wading although thigh waders are used by some. Catches. River board policy is that fish below 10lbs may be retained, those over this weight should be returned. All coloured/gravid fish should be returned. Care must be taken as the river can rise extremely rapidly.